With cupcakes becoming so mainstream and mundane in the fashion/blogger world it's hard to find innovative ways to make cake look fun and cute. There are only so many shapes and colors of sprinkles you can buy and there's a limit to the number of cupcake holder designs in stores. So what do you do when you want to enjoy the classic, Marie Antoinette-approved dessert but don't want to succumb to the everyday options the world has to offer? 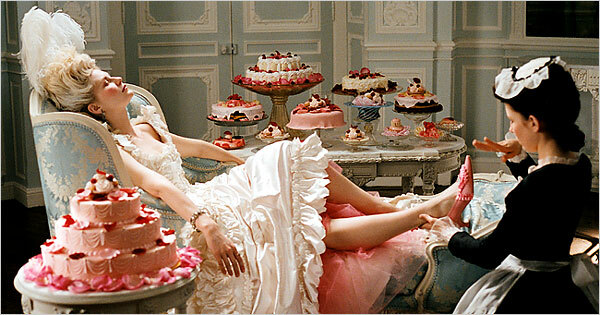 Thanks to Cupcakes and Cashmere, Sweetapolita blog, and Sally's Baking Addiction I have the answer for you. Ever heard of Cake In A Jar? I hadn't until Emily of Cupcakes and Cashmere featured it in one of her Friday Favorites round-ups. It's a cute little jar filled with icing, sprinkles, and cake chunks (I know "chunks" doesn't sound pretty but that's all I could think of to describe the portions of actual cake) layered on top of one another. They're sold by Duff's Cake Mix and run for either $5 or $8 a piece (in store) depending on the size. Duff's Cake Mix operates out of LA so if you're in the area be sure to stop by their bakery and tell me what you think. But for the rest of us who are not fortunate enough to live in such close proximity to deliciousness you can now order Cake In A Jar through their website. Hip Hip Hooray! If you'd only like a bite or two of cake then cake shots are the way to go. 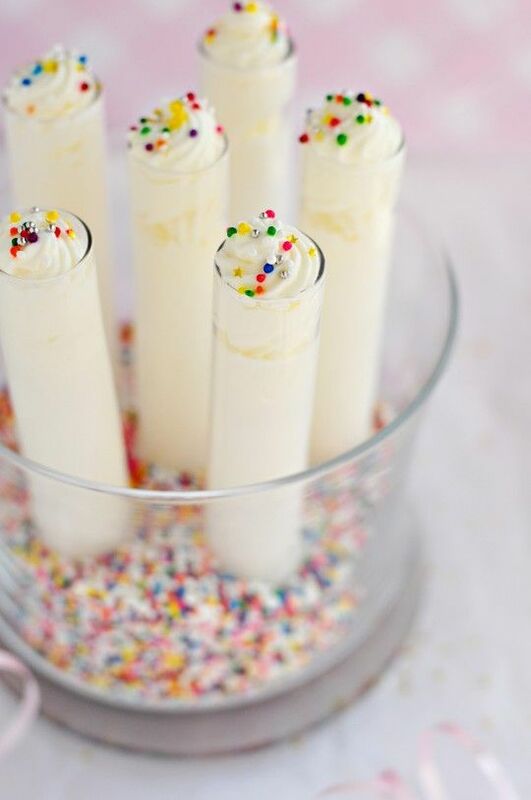 Perfect for parties or fancy nights in, cake shots give you the goodness without the guiltiness. No need to worry about if your jeans will fit after cupcake number 2, 3... 7 (if you're like me) because cake shots give you just the amount you need. Sweetapolita has an easy-peesy-lemon-squeezy cake shots recipe so now you have no excuse to have a boring party. Of course this is an alcoholic drink so partake responsibly. Cake is good so I can only imagine how it will be when mixed with vodka. And for those of you who'd love to eat an entire cake for dessert if it were socially acceptable (or even if it's not) Sally's Baking Addiction funfetti milkshake recipe is a must. All of the ingredients are gluten free and it takes barely five minutes to make. So now you're thinking why you hadn't heard of this amazing invention before. Well all I can say is I'm glad it's in your life now so sit back, relax, and sip your funfetti milkshake. Photos from NYTime.com, Duff's Cake Mix and all respective blogs. I absolutely LOVE the idea of cake in a jar. It seriously looks so delicious!